We still don’t know very much about Star Wars: The Last Jedi, to the extent that Mark Hamill recently had to assure everyone that Luke Skywalker hasn’t turned evil, but one thing is clear to all but the most obstinate Star Wars fan: Porgs are great. The little space penguins that hang out on Luke’s island walk the line between cute and weird in the best way, and though there’s a chance they could end up being as annoying as every other attempt to add a cute mascot creature to Star Wars, the Porgs are too pure and special to fall into the same categories as the Ewoks and Jar Jar—or at least that was the case before we saw what their babies look like. They could be a lot better in the movie, certainly, but these look less like adorable space penguins and more like living pork buns with creepy mouths. There’s probably some freak in the Star Wars universe who loves to chomp down on these things while they scream with their weird mouths wriggle their lumpy bodies, which is both very sad and very disgusting. 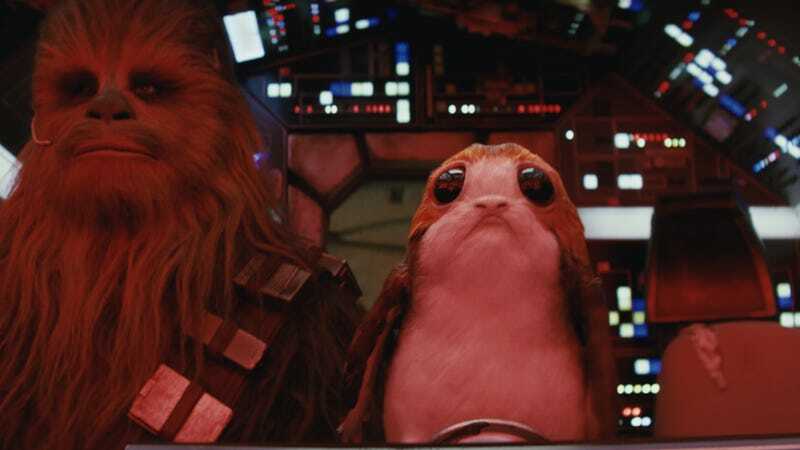 To be fair, lots of newborn creatures look super weird, but realizing that this turns into a Porg is like discovering that slugs grow up to be majestic Siamese cats. Hopefully the movie itself isn’t so confusing.